These days, a lot of network marketing companies are in a rush to expand internationally. Markets outside the U.S. are gathering steam and technology is making the leap easier and easier. My first experience working with an MLM company that was going international was nearly thirty years ago. Back in those days, companies were slower to expand overseas. Most companies waited until they were doing $50–60 million dollars a year in business and until they had been in business for several years. Now, we have clients that have been in business less than a year moving to open two or more international offices almost immediately. In the last three decades, the international landscape has changed dramatically. The process of opening an international market used to take a year of planning and preparation. Now companies are turning it around in mere months. I don’t know. But it is a reality. There’s a wild west mentality about international network marketing—a follow-the-business mindset. Distributors expect you to go where they can sell. It’s their business, and it had better go where they want it to go. Sound familiar? It’s true, you need happy distributors and—to be happy—your distributors need to sell. But you need to remember you have skin in the game. You also need to remember that what’s best for that one squeaky-wheel distributor might not be best for your entire field. How do you do what’s best for the most people? You have to balance the demands of your distributors with the economic, legal, and practical realities specific to opening each market. Don’t get me wrong. There are good things happening in this “wild west.”If opening a market makes sense for your company, do it! But, if you’re rushing in before you’ve done your research and carefully considered all of the issues surrounding a market, you don’t know if what you’re doing makes sense. Let’s get into some of the issues you’ll face as you expand your company’s reach internationally. Where are network marketers making sales? Do the math. Make sure a market will be worth the trouble it takes to break in. Don’t pass up the value of the markets you’re already in to chase after less lucrative markets overseas. If California were a separate country (and sometimes it seems they are), it would be in the top 5 largest economies in the world. If you’re in the US, you’re in California. Are you selling there? Could you sell there? This is something that a you must keep in mind as you plan to take your company into the international marketplace. People see that network marketing sales numbers are rising in other parts of the world and they forget the fact that the US is still holding down first place. Instead of listening to the talk, look at the numbers. Here’s the deal. You don’t have to avoid smaller markets. You do need to educate yourself as to why some countries do better than others. Many factors influence how well an MLM will perform in a country—laws, technology, distribution systems, and social networks. Do your homework. We see MLM companies opening offices in 10, 20, even 50 different countries. This is a very expensive way to do business. Each different country has different laws. The labeling requirements for products are different. You have to deal with each country’s equivalent of the Food and Drug Administration (or whichever organization regulates your product). That’s a lot of work and its only part of what goes in to opening an office in a new country. You might be thinking, you’ve gotta spend money to make money. Well sure, but you can also spend a lot of money without getting any return. Remember, almost all the direct sales business in the world is conducted in 10 countries. Be choosy! Don’t set up base in every country possible—set up in the countries that show true promise for your company. What legal issues will you face in new markets? When you open multiple international offices you create new legal issues for yourself. 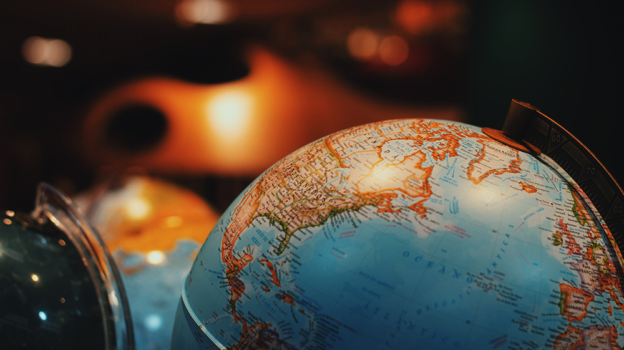 Although there are some ways to get around labeling and product approval laws, you still need to plan for different legal environments and regulations in each country. For example, the “Not for Resale” business model allows people in other countries to buy product directly from a U.S. based company, as long as they don’t resell the product to people in that country. The company ships directly to them and thus bypasses the labeling, import, and product approval laws. But this strategy isn’t legal in all countries. China restricts network marketing commissions to a single level. Multi-level marketing is unlawful in China. And, on-the-ground direct sellers in China can only sell certain types of products. But China’s economic power has been growing steadily. And as I already mentioned, their network marketing sales are second only to the United States. Some MLM companies work around the restrictions on direct sales by selling to Chinese consumers through cross-border ecommerce. Of course, this method doesn’t allow distributors to build lucrative downlines on the mainland. Although changes have been (and are being) made, Korea strictly regulates the total percentage a company may pay out in commissions; a company cannot pay more than 38% of the wholesale price paid. This is a vigorously enforced law. So any company that enters the Korean Market that pays more than 38% must change their commission plan to meet this requirement. In different marketplaces, the way direct sellers do business is very, very different. One of the biggest reasons for that difference is the income of the average customer. Let’s look at the top two countries in the list above: The United States and China. The per capita income of the United States is around $60,000 per year. In China, it’s less than $9,000 (USD). (Of course, you’ll have to adapt to more than the average income, if you want to sell in China.) In some countries popular among direct selling companies—like Peru, Thailand, and Columbia—the average per capita income is closer to $6,000 per year. You must adapt your business model with this in mind. You might have to change the product, it’s price point, or (if it’s a consumable good) the size of its packaging. On the other hand, your product might not be viable at all—even if adapted—in a low-income country. You might also have to change your distribution method. Income differences can be especially problematic for the commission plan. A plan that works well in the U.S. won’t work well in Argentina (per capita income: approximately $13,000). And it may not work at all in Peru. Why? The qualifications for personal volume, group volume, and organizational volume are all designed around the consumer buying patterns of a country with an income of $60,000. If you try to use a commission plan with roughly the same qualifications in Peru and the United States, your Peruvian distributors must sell to ten times the number of customers just to meet the qualifications! But there’s more to meeting the needs of distributors who are living on $6,000 a year. The basic needs of these distributors are totally different from those of distributors in the U.S. Here, the distributor may be in the business to make some extra money each month—”mad money” that is outside of their family budget. On the other end, a distributor may be in the business to make a living and replace their entire yearly income! These are meaningful differences. If you’re not taking them into account, you’re not doing right by your field. In the last 15 years, the standard in the industry has been for companies and distributors to push for seamless, worldwide commission plans. Companies bragged about their worldwide plans, and distributors demanded them. Hopefully, I’ve dispelled the idea that one compensation plan could serve the needs of every market in the world. The same commission plan will not work everywhere. Instead of a seamless commission plan, I’d argue that the real goal for companies should be a seamless worldwide downline. What do I mean by that? For the volume generate by Charlie’s U.S. team, you’ll calculate his commissions using the rules of the U.S. compensation plan. For volume generated by his Malaysian team, you’ll calculate commissions using the Malaysian compensation plan. This allows a company to make changes in the commission plan for each country’s specific needs, but still allows the distributors to sponsor whomever they want. By the way, the adaptations you make to your commission can be small. Your new plan can stay as close to the original plan as is reasonable given the new market. In most companies, the different commission plans will still be recognizable from country to country. The different permutations of your plan will most likely be based on the same general ideas. Making the transition takes patience and maturity and a good hard look at the issues that will come up in each country. I’ve detailed what some of those issues are. But it is a big and ever-changing world. I can’t warn you about every problem you’ll run into. My hope is to put you on course to ask the right questions and commit to finding the answers. Best of luck as you expand your company into international markets!